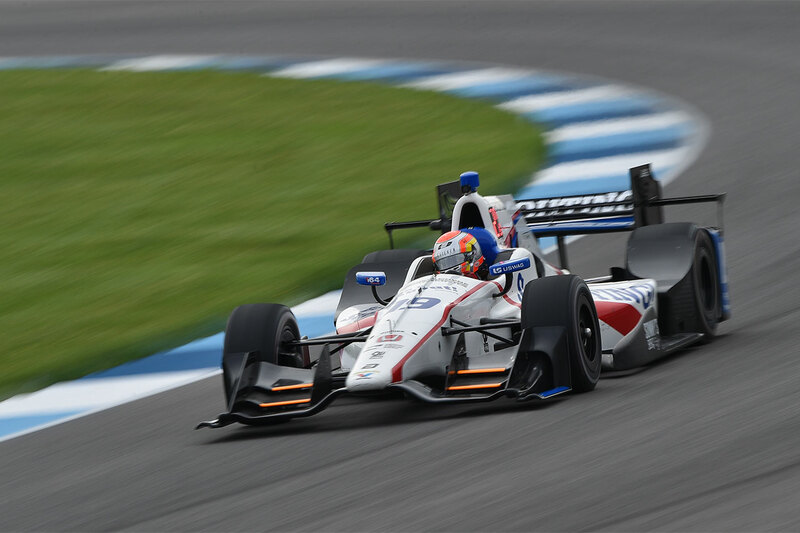 Ed Jones produced a scintillating turn-of-speed in last weekend’s IndyCar Grand Prix, but his chances of adding a third top ten finish to his tally in what has been an impressive Verizon IndyCar Series rookie campaign to-date were undone by misfortune in Indiana. 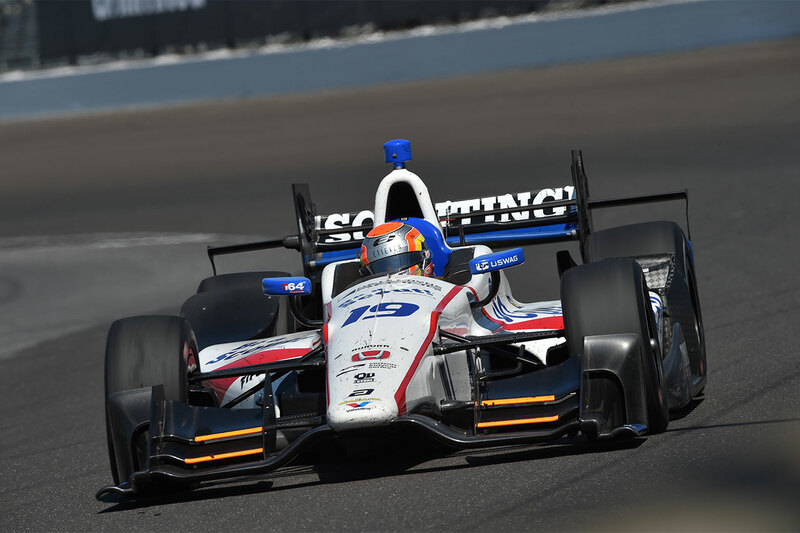 The IndyCar Grand Prix traditionally kick-starts IndyCar’s celebrated ‘Month of May’, and the iconic Indianapolis Motor Speedway’s 2.439-mile, 14-turn road course had been a happy hunting-ground for Jones in the past. The talented Dubai, UAE-born ace claimed no fewer than three pole positions there in Indy Lights and reached the top step of the rostrum en route to the drivers’ crown in the fiercely-disputed Mazda Road to Indy feeder series last year. 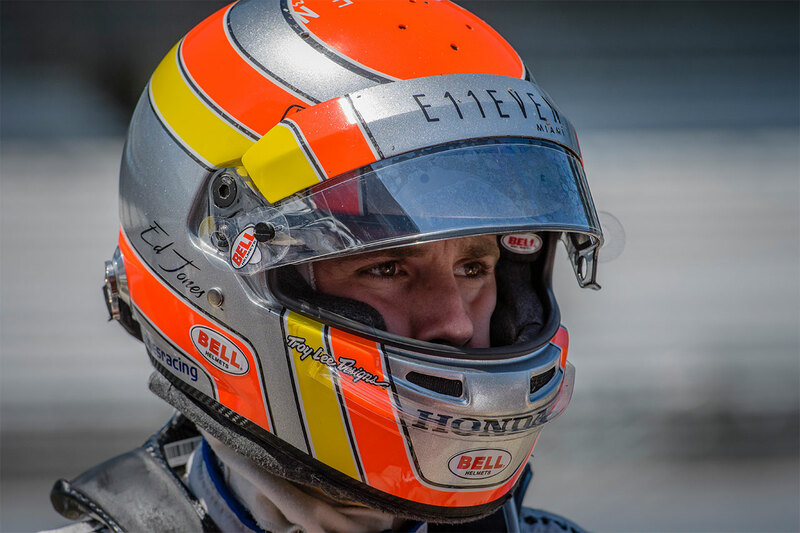 He returned with his sights solidly set on maintaining his progression at the pinnacle of US open-wheel competition. 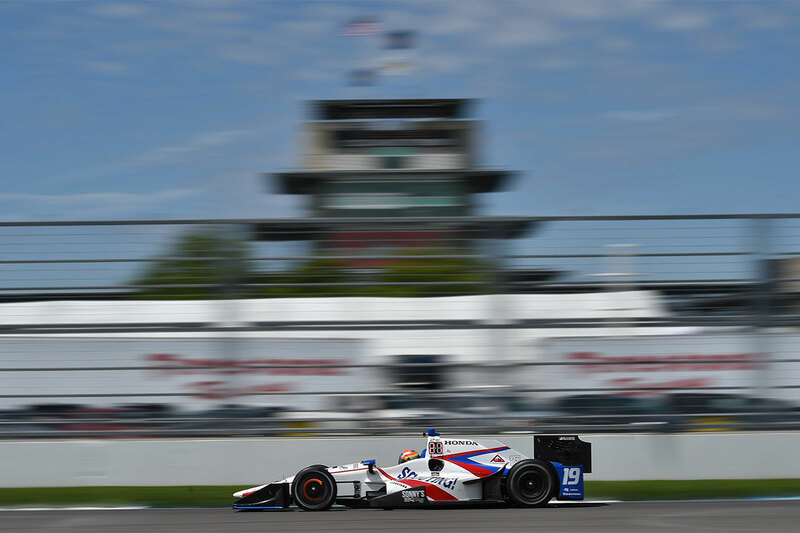 After struggling throughout practice – completing fewer laps than any of his rivals and uncharacteristically bringing up the rear of the timesheets amongst the 22 high-calibre contenders – Jones and Dale Coyne Racing dug deep to engineer a remarkable turnaround in qualifying. 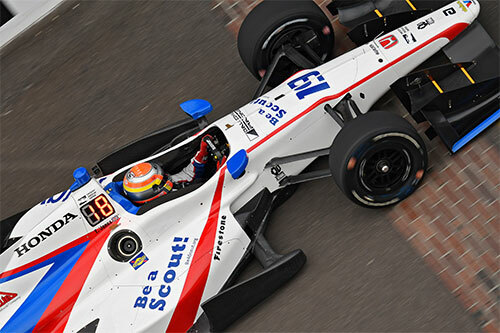 Narrowly missing out on advancing to the second part of the session, the 22-year-old Brit lined up 13th on the grid for the 85-lap IndyCar Grand Prix. 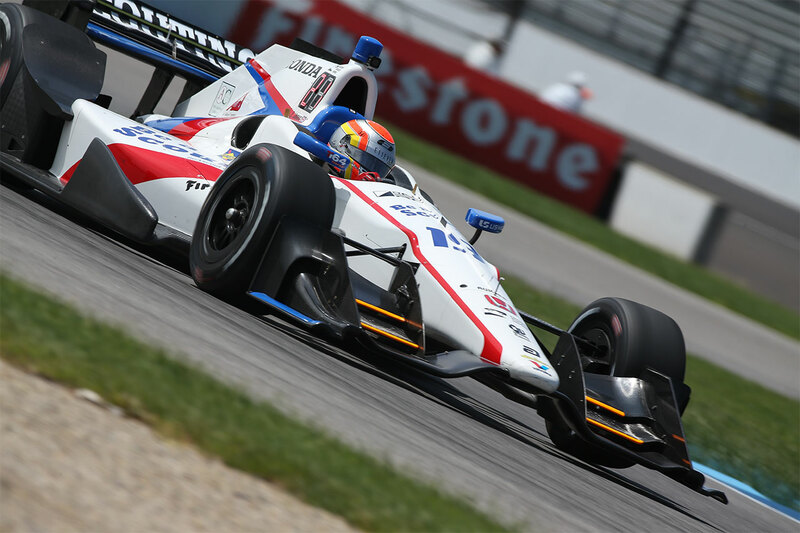 His challenge, however, was almost immediately compromised when – following a bright start that saw him gain some early ground – he found himself forced to take to the grass to avoid a spinning Tony Kanaan, rejoining the fray all the way down in 20th position. Having grittily battled back up to 13th, a refuelling issue during Jones’ first pit visit caused a further delay and prompted an unscheduled extra stop, demoting him to a lonely 19th place. He would remain there to the chequered flag, as a rare caution-free race afforded him scant opportunity to play catch-up. The former European F3 Open Champion posted the fastest lap at one stage behind the wheel of his 720bhp Dallara-Honda single-seater, ending up third-quickest overall in evidence of what might have been. With no time to rest, Jones and DCR are already hard at work preparing for the 101st edition of the legendary Indianapolis 500 – the culmination of the ‘Month of May’ – with two days of qualifying scheduled for 20/21 May followed by ‘The Greatest Spectacle in Racing’ itself a week later on 28 May. 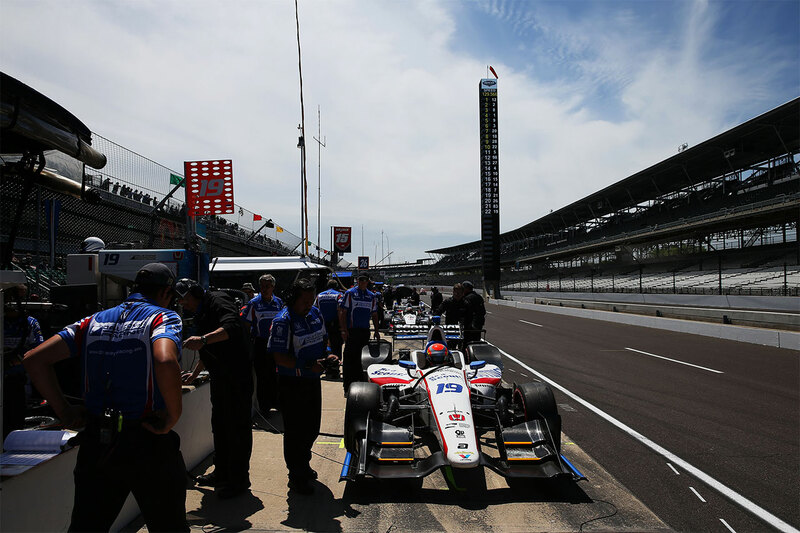 “The Indianapolis road course has been a good track for me in the past” reflected the Williams-Harfield Sports Group protégé. “It’s quite a European-style circuit, which I think is one of the reasons why I feel so comfortable there. We went into the weekend believing it would probably be one of our best chances to get a good result so far this year, but in practice we had a few problems that made it really difficult to learn and progress. “We made some big changes heading into qualifying and moved nearer to my team-mate’s set-up. That allowed us to take a big jump and I ended up really close to the ‘Fast 12’, missing out by less than half-a-tenth-of-a-second. It was obviously frustrating not to go through to the next round, but still massive to qualify where we did given where we had been in practice – much better than we had feared. “Unfortunately, it was then a difficult race. At the start we moved up a little bit, but going into Turn Seven, Kanaan spun in front of me and I had to avoid him – I thought he was going to take me out properly! I had to go onto the grass, and that dropped me to the rear of the field.